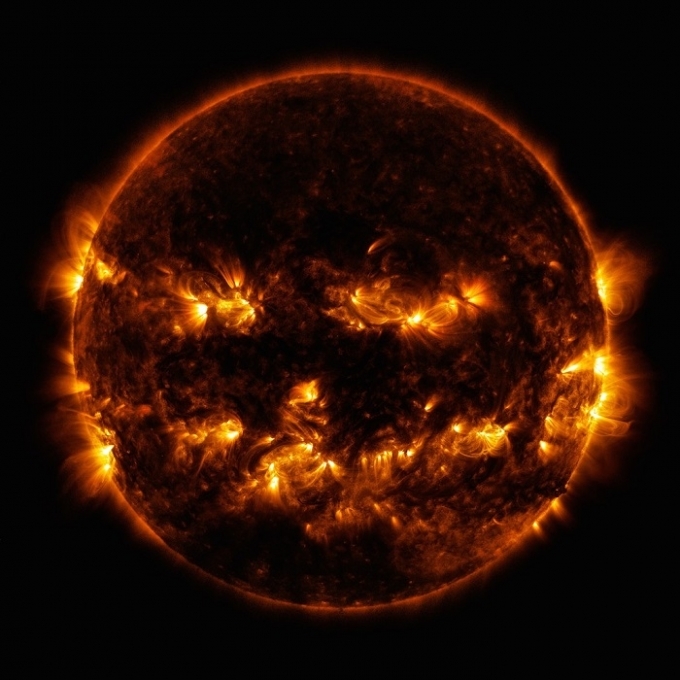 “The photo is actually made up of thousands of images taken on October 8 by the Scientific Visualization Studio of the suns active regions, filtered by wavelength,” quoting The Weather Channel. Local Farmland Protection Efforts Featured in Nat. Conf. “Thurston County Comissioner (sic) Sandra Romero and Long Range Planning Manager Cynthia Wilson were expert panelists at a national conference held last week in Lexington, Ky. on local successes and best practices for preserving working farmland. The Farmland, Food and Livable Communities conference was organized by the American Farmland Trust and showcased Romero, Wilson, and other leaders of exemplary local programs discussing how they use multiple tools to protect land and support agriculture. With a wide variety of speakers and special guests, the conference encouraged greater understanding and collaboration to support agricultural viability and the benefits of responsible conservation practices. During their panel session, Commissioner Romero and Cynthia Wilson shared with attendees how Thurston County is using a number of policy tools that are in place or being developed to protect and promote local agriculture and natural resource lands. These programs, such as the Voluntary Stewardship Program and Conservation Futures, help preserve farm lands from non-agricultural development and keep farming practices sustainable while protecting the environment and water quality. The American Farmland Trust is a national conservation organization dedicated to protecting farmland, promoting sound farming practices, and keeping farmers on the land. They work with communities across the nation to implement policies and programs that keep farmers on their land and protect the environment. Posted by Steve at 4:58 am | Permalink | Comments Off on Local Farmland Protection Efforts Featured in Nat. Conf. Daylight Savings Time ends Sunday, November 2, 2014 at 2AM, when the clock is moved back to 1AM. “The event starts with an open house at 5 p.m. [at the Red Lion hotel] that includes information booths staffed by experts in marine, rail and spill response. A presentation by DOE will start at 6, and the public can comment starting at 6:30,” quoting Brad Shannon in The Olympian. Click here for the video of the meeting by Wally Brown. “What the Bleep Do We Know! ?” was a ground-breaking film that opened in Yelm in February 2004 and became the fifth highest grossing documentary in the United States, with ticket sales of $12 million. The film was conceived and production funded by William Arntz, who co-directed the film along with Betsy Chasse and Mark Vicente. The return of The Bleeping Herald e-newsletter once gain puts Yelm in the spotlight. Greetings What the BLEEP Do We Know!? fans, followers, and aficionados. It’s been 2 years since the last hello and much has happened in our world, your world, and the world. Rereleasing Down the Rabbit Hole! Were having a birthday party! 2. Isom claimed the NVN showed no interest in the vacant Council position and only picked-up the news of the council opening off a blog. [Isom referred to the NVN coverage of this blog’s conflict-of-interest reference to Mayor Harding’s tie-breaking vote.]. In responding to Collins, Isom directed his anger at this blog and the NVN, which was misplaced, as Collins was not referring to this blog’s entry on the mayor’s tie-breaking conflict-of interest vote. Collins questioned the selection & notification process in choosing a Council candidate, distinctly different from the mayor’s conflict-of-interest vote. This is a convenient ploy to deflect a situation – by responding to a different subject! Isom NEVER mentioned the 7 candidates names nor acknowledged them for their willingness to serve. Isom never thanked Mr. Collins for his willingness to participate in the public process. That Isom was so defensive that his integrity and that of the council’s was questioned, was very revealing – a nerve has been struck with this on-the-record statement by a Council candidate last night. Yet, all other Councilors were silent! “A grand opening ceremony is set for Wednesday to christen a 600-space parking garage at the Nisqually Red Wind Casino. A public reception is set for 10 a.m., followed by the grand opening ceremony at 11 a.m.,” quoting The Olympian. “Inslee understands how deep the crisis of anthropogenic climate disruption (ACD) runs. ‘We know that two of the most challenging threats we face to our environment are climate change and ocean acidification,’ Inslee said just after being elected governor of his home state in January 2013. He promised ‘disruptive change’ to the way his state operated, and his actions have followed suit. In September 2014, Inslee told a gathering of climate researchers at the University of Washington that Americans who remained neutral or indifferent on the subject of ACD were just as guilty as ACD deniers. During the conference, Inslee cited numerous studies that revealed the depths of ACD’s impacts on oceans, birds and human health, and went on to say that no one can remain on the sidelines any longer,” by Dahr Jamail, Truthout. The Yelm Community Blog applauds Gov. Inslee for his efforts and leadership on this subject! “Voters in Washington state will decide on two gun control initiatives next week just as a teen wounded in Friday’s shooting rampage succumbs to her injuries. NBC News’ Tracie Potts reports,” quoting NBC News. Ever notice when gun control measures are on states’ ballots, that is preceded by a high-profile shooting?